When it comes to puting the final touch to an elegant look, what could be more fitting than a watch? 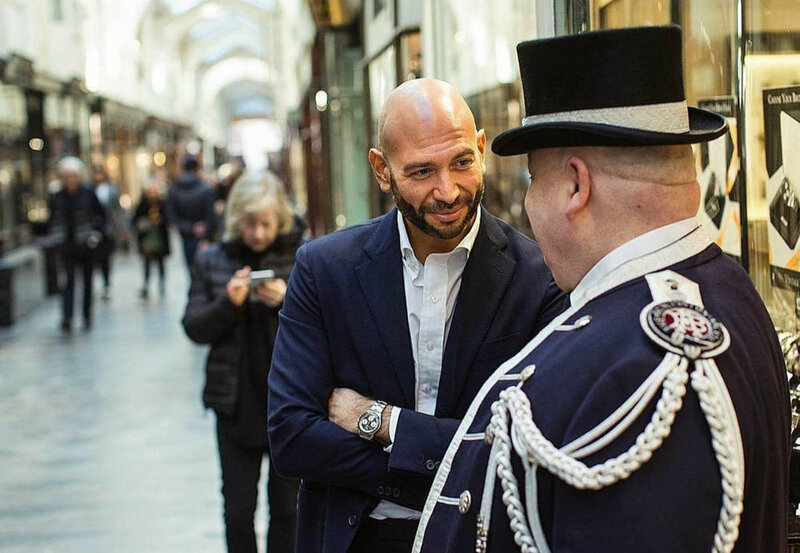 This accessory central to the male wardrobe is unequaled in the world of luxury, and this exclusive intervieew of David Silver goes to prove it. David thank you very much for welcoming us and opening up on the history of this company. SB! is honored. Can you describe yourself in 3 words? Can you walk us through you career path ? D.S. My father has always been in retail and for many years ran a modern jewelry retail business. He had stores up and down the UK with many concessions in department stores. The business was eventually sold and he worked with the new owners for one year to manage the transition. Afterwards he was looking for a new venture and, with my sister on board, stumbled upon the area of vintage watches primarily as a hobby. 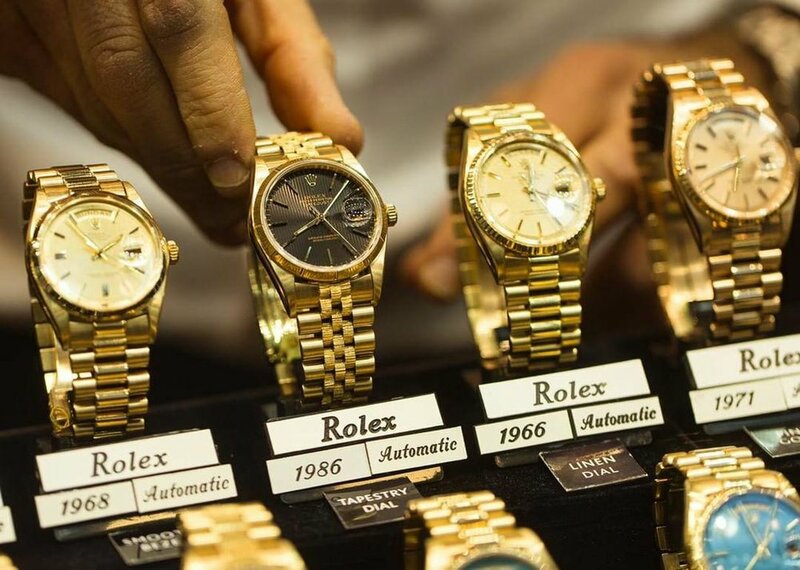 This quickly grew into a very interesting niche and he settled on Rolex as the brand to specialize in and started the task of amassing the largest collection of vintage Rolex on display in the world. Something we have achieved! At the age of 16 I started a Saturday job at Paul Smith in Covent Garden. Retail was always in my blood and I loved working there. The 1990’s was so iconic for the brand and when he opened the Westbourne House store in Notting Hill I was part of the founding team members. These are some of my greatest memories. After University I worked for a real estate company in Mayfair but continued to work my Saturday job at Paul Smith. I worked (and still do) 6 days a week. I set up the Vintage Watch Company website from my desk at work and would visit my father and sister every lunchtime to see what was happening. My father and I eventually decided that it was the right moment to expand and we opened our first store in the Burlington Arcade about 15 years ago. What made you stay in this business? D.S. I am addicted to this business. It’s my passion; I am 24/7 online searching for new pieces, speaking with international customers who rarely concern themselves with small details like “time difference”. Each day is unique. I am lucky enough to have met world leaders, heads of state, international royalty, many stars from all the Arts and the most amazing people from all walks of life. Let’s be clear I am not a “watch buff” I am a passionate retailer with one of the world’s most unique and desirable products. D.S. The size and variety of the collection. We showcase Rolex form the very beginning, 1st World War officers watches, to multi colored day date models from the 1970’s and 1980’s to the iconic sports models made famous but countless film and sporting stars. The size of our collection affords people the opportunity of purchasing or gifting a Rolex from the year of their birth. A gift that never fails to render the recipient speechless. What watches should a collection begin with? D.S. I am often asked “what is your rarest or most expensive Rolex?” My answer is “why?” This question has no relevance to your individual style or taste. You must buy what you like, what catches your eye and then I know you will wear it and enjoy it forever. Then others will see it and comment and that is good for all of us. Don’t buy something because someone tells you it is “rare” and you should own one. Buy the piece that speaks to you. D.S. I am not a “watch collector” I have two watches. The first watch my father gave me from 1952 which was engraved when I got engaged and a 1960’s Submariner with very rare tropical brown dial. I sold it once and the customer swapped it for another as he found it too “brown”… I’ll never ever sell it again! Modest for today’s gentleman is 36-40mm, for a woman 28-34mm. A large case size is generally 42mm+ for a man, and 36+ for a lady. What’s your take on this? D.S. Working with vintage pieces I am attune to watches that truly stand the test of time. Of course there are unfashionable periods and many small pieces but these find new owners. Smaller men’s watches from the c1920’s and c1930’s are now worn by women. The 34mm and 36mm men’s watches are worn as “dress “ watches with suits and shirts and made more elegant with the introduction of an alligator skin strap rather than a bracelet. Women have for a long time now been wearing larger watches however there has been a small shift back to the smaller sizes as women want the versatility of a piece for day and night. Automatic, manual wind or quartz? Are you excited by the traditional mechanical experience, or do you prefer to set the watch and not have to worry about it? D.S. We love the feel of a mechanical watch. There is something very special about winding a watch each morning. You have a relationship with it that you can’t achieve with a quart model. Automatic models also have a bond with the owner they need to be worn, powered up, not left sitting in a safe for years on end. Do you have a preference on strap or bracelet? Why? D.S. I like both and in particular have a constant supply of new straps designs being made for the store, NATO straps, traditional alligator skins or bund style cuffs made famous by Paul Newman. I give customers a tool so they can go home and they experiment with the strap, changing the look for the watch totally each time. This gives the feeling of wearing a totally new watch each time. Do you have a preference on case material? Why? D.S. No. Not really there is a time and a place for everything. Do you want a model with a sapphire caseback to observe the movement within? D.S. No, not really. I like to look at the front of my watch! Do you have a dial color preference? What’s your best memory so far? D.S. The first time I met President Clinton in the store was a stand out moment. The entourage, the secret service, the whole experience was mind-blowing. At first he looked intently in the window for about 5 minutes with around 10 secret service agents surrounding him. Then he came towards the door. “He is coming in! He is coming in!” shouted a colleague. What’s the best present according to you? D.S. A vintage Rolex made in the year of birth. This gift is a knock out every time and for added emotion we engrave the caseback with initials or a personal message scanned from the original hand writing of the person presenting the gift.